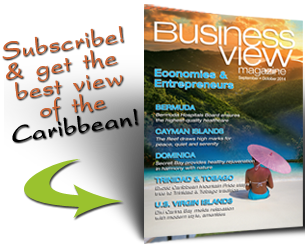 Business View Caribbean profiles The British Virgin Islands Health Services Authority, the statutory body that oversees the Territory’s healthcare providers. 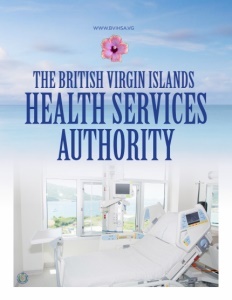 The British Virgin Islands Health Services Authority (BVIHSA) is a semi-autonomous, statutory body that oversees the Territory’s main hospital, the new Peebles Hospital on Tortola, and nine community clinics on the islands of Tortola, Jost Van Dyke, Virgin Gorda, and Anegada. The BVIHSA is part of the Territory’s National Health Insurance scheme and, as the preferred provider of health services to the island’s residents and guests, its funding comes through the Social Security Board. The BVIHSA is managed by a Board of Directors appointed by the Minister of Health and Social Development and is administered by CEO, Darlene Carty-Baptiste, who joined the BVIHSA in 2012, with over 20 years of experience in medical and healthcare services. It employs 625 people, making it the Territory’s second largest employer, and has an estimated budget of $40 million. Its services include: Audiology, Emergency, Hemodialysis, Infection & Prevention Control, Laboratory Services, Medical Imaging, Nutrition and Dietetics, Pharmacy, Physiotherapy, Social Services, General Surgery, Obstetrics and Gynecology, and Pediatric Care. According to Carty-Baptiste, the Territory’s National Health Insurance (NHI) system is similar to that of the United Kingdom’s. Legal residents of the BVI must make a mandatory contribution of 3.75 percent of their earnings up to the Social Security maximum threshold of US $5,791.50, in order to be covered by National Health Insurance. Employers of those persons are assessed an additional 3.75 percent of their worker’s salary. Treatment received under NHI is subject to a lifetime cap of US$1,000,000, but individuals remain subject to a five percent co-pay at Peebles Hospital. There is no co-pay requirement for treatment at a community health clinic. When Carty-Baptiste came aboard to run the BVIHSA, two of her major objectives were to oversee the transition into the new state-of-the-art, Peebles Hospital facility, and, at the same time, to implement the National Health Insurance scheme, which has allowed an additional 30 to 35 percent of the Territory’s islanders to be covered, providing them with access to healthcare services. Now that those first two priorities have been accomplished, she is moving toward her third mandate: assuring accreditation for the Territory’s healthcare system. Other items on Carty-Baptiste’s to-do list include working with Tortola’s one private hospital, the Bougainvillea Clinic, to develop a physician enterprise in order to ensure that patient services are not being duplicated, while risk and accountability are being shared; and helping to promote medical tourism, wherein patients from outside the Territory come to the BVI for medical services. In addition, she says that she would like to consolidate the community clinics from nine down to five, while concurrently increasing the level of services at those clinics in order to keep people out of the hospital whenever possible. 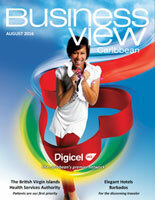 Check out this handpicked feature on BSI Services Trinidad Limited.